It seems strange looking back now, but in 1980 when I was first getting into rock music, Rainbow meant Graham Bonnet and Black Sabbath meant Ronnie James Dio! It was only when I started to actually learn about the bands that the bigger picture emerged! Mr Bonnet has of course been involved in numerous other things since his brief time in Rainbow. The most recent is The Graham Bonnet Band and the album “The Book” which was released by Frontiers Records on 4th November. The track “Into The Night” was included on the Friday NI Rocks Show on 11th November. 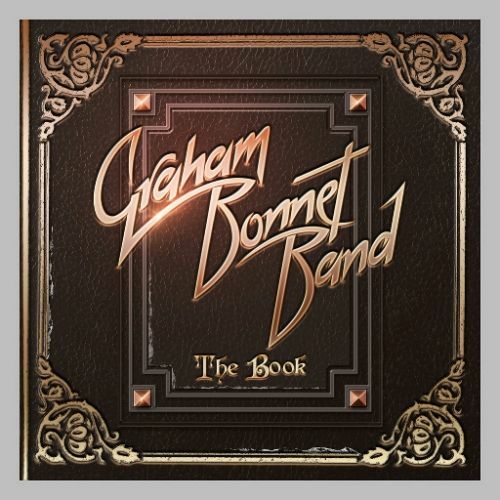 “The Book” comprises 2 CDs – the first features 11 new tracks and the second has 16 tracks from Graham Bonnet’s lengthy recording career that have been re-recorded for this album. In addition to the main man himself, the Graham Bonnet Band includes Beth-Ami Heavenstone on bass, Conrado Pesinato on guitar, Jimmy Waldo on keyboards and Mark Zonder on drums. The Graham Bonnet Band are currently on a short European tour to promote the new release. That tour includes dates in The Nerve Centre, Londonderry/Derry on 18th November and Limelight 2, Belfast on 19th November; as well as Monroes, Galway on 20th November and Voodoo Lounge, Dublin on 21st November. The two singles released by Rainbow with Graham Bonnet on vocals are probably amongst the most well known and they are obviously included on CD2 – “All Night Long” and “Since You Been Gone”. The CD also features Bonnet’s solo work as well as tracks from his time with the Michael Schenker Group, Alcatrazz and Impellitteri. All have been re-recorded for “The Book”.